The Vail Valley, long recognized as one of the top ski destinations in North America is also a year round playground for those with dreams of a world-class, mountain golf experience. This twenty mile corridor framed by the Gore Range and Sawatch Mountains surrounded by the vastness of the White River National Forest is famous for its winter offerings, but a summer trip to Vail will give you reason to believe this mountain playground is not a one-dimensional vacation experience. Summer in Vail features everything great that Mother Nature can proudly boast. Clear skies, snow capped peaks and lush alpine forests all compliment this gigantic geological gift. An outdoor enthusiast’s wonderland, the natural beauty and perfect weather of the summer months, makes cycling, hiking, rafting and golf a perfect fit. Having a dozen courses ranging from exclusive private, semi-private resort access and municipal daily fee facilities, The Vaill Valley has assembled a mountain golfing destination that is difficult to rival. With the backdrop of some the most spectacular vistas anywhere, an escape to Vail Valley’s offerings is a traveling golfers dream. The Valley, made up of the communities of Vail, Beaver Creek and Edwards is really a trio of unique locales all giving the traveler very different experiences. Vail, at the easternmost end of the valley, is the trademark with its abundant culture and recreation. The sprawling village, squeezed between soaring peaks with a multitude of hotels, inns, shopping and restaurants is the epitome of alpine extravagance. The sprawling resort is teaming with summer activity. The Ford Amphitheatre hosts many world-class musical performances under the Rocky Mountain skies, while Betty Ford Gardens attracts visitors looking for a peaceful floral respite. The Gore Creek provides fishing, rafting and the tranquil sounds of the rushing mountain river. Beaver Creek Resort, Vail’s sister resort is a sprawling community of luxury at the base of majestic Beaver Creek Mountain. This expansive playground of hotels, restaurants, and majestic village filled with eclectic shops and year-round ice rink, is full of mountain life. Trails for hikers and bikers, along with a spectacular guided jeep tour of the mountain top provides you with a feeling of being on top of the world. Culture abounds at the Vilar Performing Art Center for year round entertainment. Whether you are seeking a “get back to nature” experience or a romantic stay with spa pampering and world class cuisine, a Beaver Creek summer is the answer. Edwards at the westernmost end of the valley is more wild west than mountain top. As the valley widens bringing in the golden rays of summer, the summer play season is much longer here. Northern exposures with their snowcaps and alpine forests are contrasted by the arid desert-like southern slopes graced with brush and native grasses. 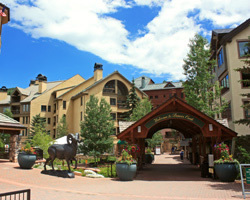 The town presents a laid back ranch-like feel including playing host to Beaver Creek’s weekend rodeo. Plenty of artisan shops and merchants are worth the time to explore. The gateway to the Colorado River and its lore, Edwards is a charming western community graced with a more laid back approach to life. The Club at Cordillera: A visionary four club facility featuring the works of Fazio, Nicklaus, Irwin and Pelz, is a private preserve associated with a 7000 acre parcel of high mountain ranch land and four distinguished residential communities each with their own golf facility. Located at the western reaches of the Valley in Edwards, this club provides everything a golfer could want or handle. Guests of the charming Lodge at Cordillera have access to all the golf facilities at Cordillera. The Valley: A Tom Fazio design that is built in the low reaches of the Eagle River Valley provides customary playability off the tee combined with challenging shot making getting to the greens. 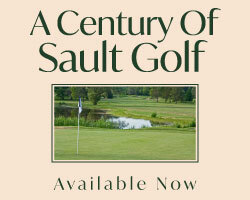 The layout provides fun and challenge for golfers of all abilities playing up to 7005. Built on the south facing slopes, the feeling is more dessert than alpine. Native grasses and scrub frame the layout, while the surrounding gorgeous snow-capped mountain vistas make your score seem irrelevant. The Summit, routed through high altitude aspen forests by Jack Nicklaus, plays to a monstrous 7530 yards. Sharing the land with caribou and deer you are blessed with unimaginable vistas where golf will not be the primary focus of your round. Not many golf courses can boast being above the descending planes on approach to Vail airport. What a sight! The Mountain, Hale Irwin’s contribution to the club, playing up to 7413 yards over former ranch land, features a design with ridges, meadows, forests and wetlands, to challenge your game. Dave Pelz, the short game guru, designed The Short Course for those wanting a quick fix and a chance to get better with the irons. Located adjacent to the Lodge at Cordillera, this 10 hole facility is superbly designed. Red Sky Ranch: Vail Resorts has partnered with the Red Sky Ranch to provide guests access to this unique and spectacular club. Both a Tom Fazio and Greg Norman design await you on a sagebrush covered mountainside just west in Wolcott. The unique arrangement allows alternating public and member play at each course. The Fazio Course is the shorter; at 7113 yards and features two very different nines. The more open and windswept front is lower on the hillside overlooking the valley and surrounding mountains. Club selection and ball flight is a premium on this set of holes. It is a terrific mix of length, shot shaping and risk reward holes. The back nine climbs up the mountainside into a lush alpine Aspen forest. Tighter and more exacting, this nine ends with a trio of downhill holes that puts a real test on club selection and give you a wonderful chance to score well. Strategic and challenging, this layout impresses with its creative holes and fantastic use of the natural beauty of location. The Norman Course is a 7500 yard behemoth maximizing the windswept, hillside terrain. With dramatic elevation change and the altitude, length is not the primary defense for this layout. Huge generous fairways lead you to the plateau green-sites where hitting and holding the surfaces is the only way to score. Errant shots force deft touch from tight collection areas and large bunkers. Both nine and eighteen are risk-reward holes that challenge your second shot. The greens are guarded by water in front and the severe drop demands as much thinking as execution. Considered the higher rated course, this one must be played from appropriate tees to fully enjoy the experience. This masterful two course club has to be on the itinerary of any trip to the area. Outstanding service and two distinctly different, highly acclaimed courses await you at Red Sky Ranch. 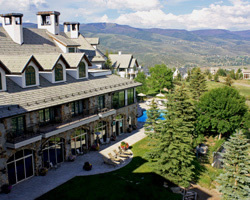 Guest of Vail Resorts or The Lodge at Cordillera have access. Beaver Creek Golf Club: Framed by mountains and the idyllic resort setting at the base of Beaver Creek Mountain, Robert Trent Jones Jr. routed a challenging, creative layout that uses the splendors of Beaver Creek and the mountains to the fullest. Tucked in the upper reaches of a tight valley, the opening holes of Beaver Creek Golf Club are well described as the epitome of target golf, while the finishing hole, with green framed by the majestic, fast flowing river and clubhouse patio is the perfect end to a fun-filled round of mountain golf. Serenaded by the rambling rapids of Beaver Creek this resort course is a perfect choice for those visiting Beaver Creek Resorts. Sonnenalp Golf Club: Available to guests of the world class Sonnealp Resort in Vail, this private facility in Edwards is quite a treat. A Hurdzan-Fry design, it combines elevation change and creative water hazards, with a variety of options to play the holes. Surrounded by a vibrant residential community on the south facing slopes in Edward, Sonnealp presents a links style layout with a blend of dramatic mountain vistas. 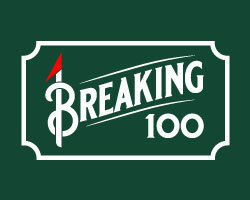 Playing to yardages of 5100 – 7100, you get the right amount of challenge with a balance of playability. Combined with the pampering and elegance of a stay at the resort hotel in Vail, the Sonnelap experience is a must. Vail Golf Club: Situated at the eastern end of the Vail Valley, the original golf course of the Valley is one that must be experienced. Not often do you get to work out the kinks of your swing with the backdrop of a snow covered bowl of the Gore Range as your range target. Owned by the Vail Recreation District this is not the typical municipal golf experience. The routing is a fantastic mix of length, shot shaping and finesse. The front nine plays with a bit more elevation change, both up and down making club selection important. The final nine is heavily influenced by the meandering Gore Creek ready to swallow anything struck less than perfectly. This extremely walkable routing is both charming and challenging with large tricky greens and some of the best mountain vistas you will find anywhere. 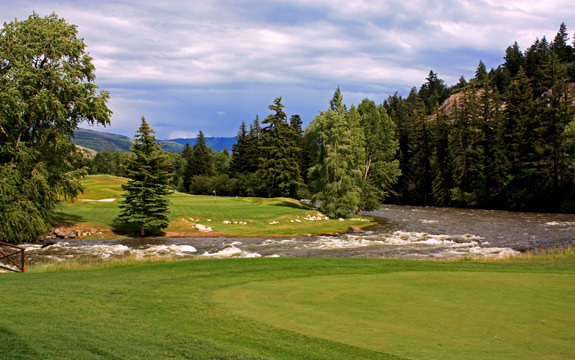 Family-friendly, this superb value, Vail Golf Club has to be enjoyed if you are in the area.